Since the first Christmas night, the angels' words, "Peace on earth!" have echoed through the centuries, heralding the Savior's birth and reminding us that the heart of the Christmas season is peace. In keeping with this theme, the richly detailed designs in this adult coloring book will provide calmness and serenity in the midst of the busyness of the Christmas season. Peace On Earth Colouring Book by Passio Faith was published by Passio in November 2015 and is our 25781st best seller. The ISBN for Peace On Earth Colouring Book is 9781629987606. Be the first to review Peace On Earth Colouring Book! Got a question? No problem! 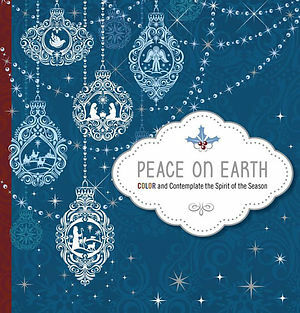 Just click here to ask us about Peace On Earth Colouring Book.